"Three dimensions are real space. That gets rid of the problem of illusionism and of literal space... which is riddance of one of the salient and most objectionable relics of European art." 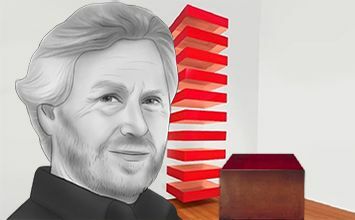 Donald Judd was an American artist, whose rejection of both traditional painting and sculpture led him to a conception of art built upon the idea of the object as it exists in the environment. Judd's works belong to the Minimalist movement, whose goal was to rid art of the Abstract Expressionists' reliance on the self-referential trace of the painter in order to form pieces that were free from emotion. To accomplish this task, artists such as Judd created works comprising of single or repeated geometric forms produced from industrialized, machine-made materials that eschewed the artist's touch. Judd's geometric and modular creations have often been criticized for a seeming lack of content; it is this simplicity, however, that calls into question the nature of art and that posits Minimalist sculpture as an object of contemplation, one whose literal and insistent presence informs the process of beholding. Judd's goal was to make objects that stood on their own as part of an expanded field of image making and that did not allude to anything beyond their own physical presence. As a result, his work, along with that of other Minimalist artists, is often called literalist. Unlike traditional sculpture, which was placed upon a plinth, thus setting it apart as a work of art, Judd's works stand directly on the floor and as a result, force the viewer to confront them according to their own, material existence. Judd combined the use of highly finished, industrialized materials, such as iron, steel, plastic, and Plexiglas - techniques and methods associated with the Bauhaus School - to give his works an impersonal, factory aesthetic. This served to separate his pieces from those of the Abstract Expressionists, whose emphasis on the artist's touch gave their images a confessional, personal context. Judd often presented his work in a serialized manner, a strategy that related to the reality of postwar, consumer culture as well as to the standardization and de-subjectifying nature of identical, multiple forms or systems. The multiple was another way to reinforce their materiality. This method was also seen as a part of a more general tendency toward the democratization of art, that is, to make art more accessible to more people, because it was composed of fabricated parts. 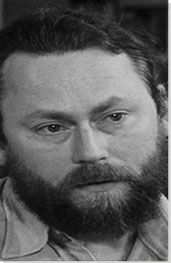 Donald Judd was born on June 3, 1928, in Excelsior Springs, Missouri. He spent much of his early childhood on his grandparents' farm and continued to live in the Midwest with his parents until they finally settled in New Jersey. Interactive chart with Donald Judd's main influences, and the people and ideas that the artist influenced in turn.